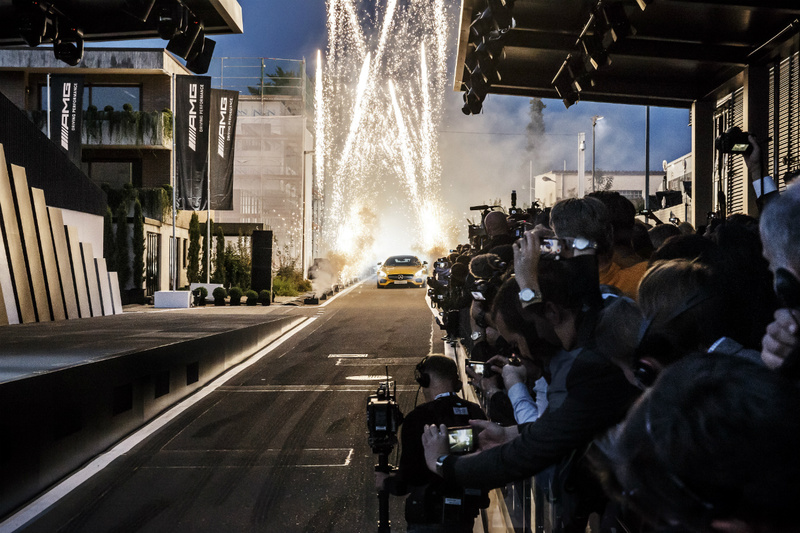 When Mercedes-Benz revealed the SLS AMG GT Final Edition simultaneously at last year’s Los Angeles Auto Show and Tokyo Motor Show, it was an occasion marked by equal parts surprise and disappointment. In just four short years, the SLS and its many variations had attracted a passionate following, to be sure. As far as true driving enthusiasts were concerned, the SLS did not require a Final Edition—it was as relevant a performance car as the day it debuted in 2009. 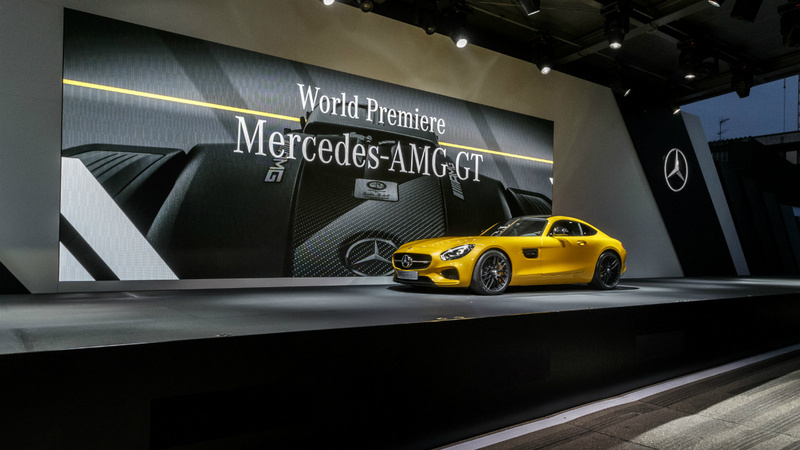 Now, those same aficionados have a new reason to feel enthused—the 2016 Mercedes-AMG GT was just revealed at AMG’s headquarters in Affalterbach, Germany. The second car after the SLS to be developed entirely in-house by the performance division of Mercedes-Benz, the GT will initially come in two different styles. The first of these to arrive in Canada (in mid-April 2015) will be the 2016 Mercedes-AMG GT S; approximately one year later, we will see the GT. If what happened with the SLS AMG is any indication, other variations will follow thereafter. In looking over the specifications for the AMG GT, it quickly becomes clear why the SLS was not long for this world. Powered by a twin-turbocharged, 4.0-litre V8, the new supercar will be capable of performance levels that approach those of its immediate predecessor. The GT S, the higher-performing version, boasts 503 horsepower, an estimated 0 to 100 km/h time of 3.8 seconds and a top speed of 310 km/h. The quickest version of the SLS AMG accelerated to 100 km/h in 3.2 seconds and had a top speed of 328 km/h. Although the engines powering the two AMG supercars are vastly different, there are also similarities to report, including the front-mid engine/rear drive layout of both cars and the seven-speed dual clutch automatic transmission. 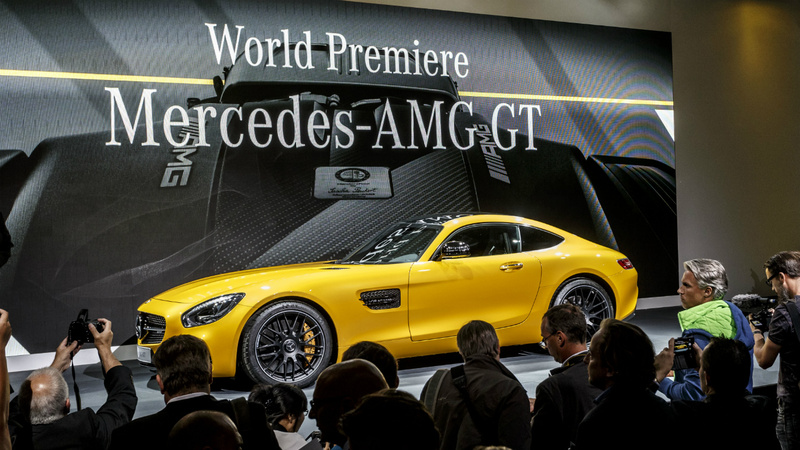 The AMG GT is slightly shorter, higher, and lighter than the SLS. The new car also has a conventional door design which, combined with the widespread use of lightweight aluminum and magnesium, gives the AMG GT a lower curb weight and a lower centre of gravity. These aspects should make the AMG GT an even better handling car than the SLS, but only time will tell. The new engine and lower weight also contribute to the startling fuel efficiency of the AMG GT—the estimated combined rating of 9.3 L/100 km would make the Mercedes the class leader in this respect. The 2015 Mercedes-Benz SLS AMG roars off into the sunset with a base price of $248,000, while the 2016 Mercedes-AMG GT S is expected to cost significantly less. In the GT, Mercedes has very clearly targeted class-leading sports cars such as the Porsche 911 and Jaguar F-Type. Let’s see how it fares.